Embattled anti-tax activist Tim Eyman collected enough signatures to qualify an initiative that would cap car-tab fees at $30 a year. Lawmakers must now either approve that, allow it to go to the ballot or pass an alternative to appear alongside Eyman’s measure on the ballot. With another legislative session underway in Olympia, lawmakers are poised to consider new transportation spending, traffic-enforcement measures and — once again — car-tab fees. Embattled anti-tax activist Tim Eyman collected enough signatures to qualify an initiative that would cap car-tab fees at $30 a year. Lawmakers must now either approve that measure, allow it to go to the ballot or pass an alternative to appear alongside Eyman’s measure on the ballot. Car tabs are a significant source of revenue for Sound Transit, which uses an inflated formula approved by the state Legislature to determine the value of vehicles and how much drivers pay for car tabs. That formula has drawn attention in recent years after voters approved the $54 billion Sound Transit 3 package in 2016 and some drivers felt sticker shock at their increased car-tab fees. Democrats, who control both chambers of the Legislature, generally oppose a $30 cap since it would gut transit funding. However, many of them have supported other efforts to change the valuation formula. They’re not yet saying how they’ll address Eyman’s initiative. For the last two sessions, legislators on both sides of the aisle have supported changing the formula but failed to pass a bill. The state Office of Financial Management is now working on a fiscal note about the initiative, which may be done next week, a spokesman said. On other issues, lawmakers will debate significant transportation spending plans in Gov. Jay Inslee’s proposed budget. To comply with a federal court order, Inslee seeks $205 million in additional funding over the next two years for the removal and repair of culverts to improve fish migration. Inslee also proposes spending about $119 million over the next two years for new hybrid ferries and converting diesel ferries to hybrids. Hobbs is proposing his own transportation funding plan that could kick off a yearslong debate over the state’s next package of funding for roads and transit. While he hasn’t yet filed a bill, Hobbs released a “funding concept” proposing a 10-year, $16 billion package paid for by a carbon fee, higher gas taxes, impact fees on development and other fees. The plan would pay for road projects across the state, culvert replacements, ferry electrification, a new Interstate 5 bridge over the Columbia River (for which Oregon would theoretically share the cost), and other projects. In Seattle, two Democratic senators, Reuven Carlyle and Jamie Pedersen, are eyeing funding for safety improvements on the Aurora Bridge, a longtime safety concern and site of a deadly 2015 crash involving a Ride the Ducks vehicle. The senators announced a budget request Tuesday for $2.5 million for new digital speed signs on both approaches to the bridge, but a spokesman quickly retracted the news release. Carlyle said he backtracked in order to wait for a public airing of Hobbs’ transportation proposal, which includes $29 million to widen lanes on the bridge and add “center-lane crossover protection” by moving the sidewalks under the bridge. A spokesman said it was too soon to say exactly what that crossover protection would look like. On other issues, Democratic lawmakers are sponsoring a bill to offer a sales-tax break for electric vehicles. Republicans have introduced bills aimed at transit funding and governance, which may get hearings but are unlikely to pass given Democratic majorities. Longtime Sound Transit critic Sen. Steve O’Ban, R-University Place, is sponsoring a bill that would allow voters who live within Sound Transit’s taxing district to pursue a county ballot measure to opt out of previously approved transit taxes like Sound Transit 3. 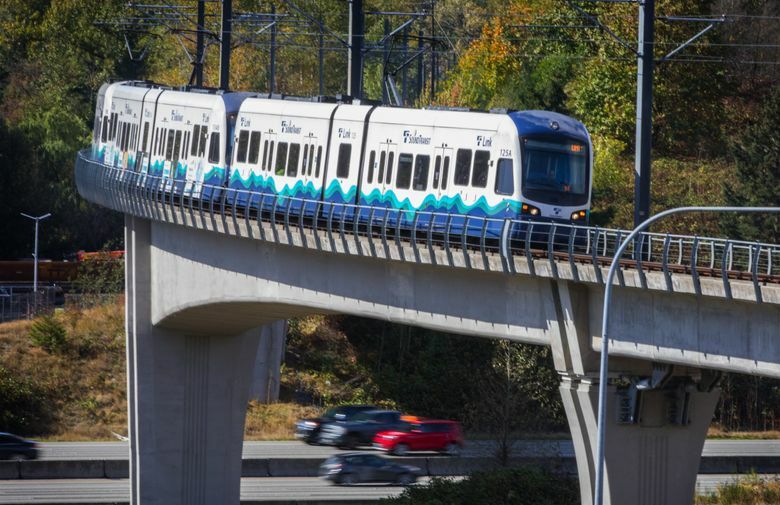 Another O’Ban proposal would make Sound Transit’s board directly elected. For the first time, that bill has two Democratic co-sponsors. O’Ban is also still seeking to change the car-tab valuation formula by tying the fees to Kelley Blue Book values. This time, he’s pitching that as a possible alternative to Eyman’s measure. The Legislature may also consider bills regulating ride-hailing companies like Uber and Lyft, including the background checks required for drivers. Bike advocates hope to strengthen penalties under the state’s “vulnerable user” law, which sets fines for drivers who are found to be negligent and injure or kill a cyclist, pedestrian or other vulnerable user. Transit supporters will push for a bill to give cities like Seattle the authority to use traffic cameras to ticket drivers who block bus-only lanes. Rep. Joe Fitzgibbon, D-West Seattle, sponsored a similar bill last year and has said he’ll try again this year.